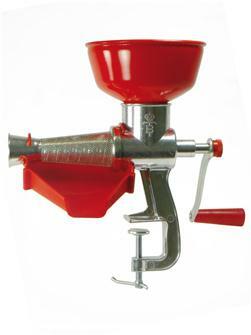 Manual Reber n°3 tomato machine in varnished cast iron, resin working screw, stainless steel hopper and collection tray. 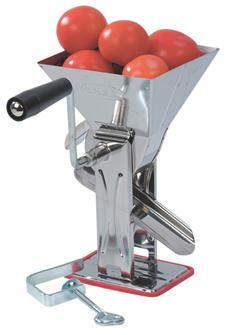 Tomato machine N° 3M in varnished cast iron, nylon work screw, hopper and collection tray in stiff plastic. 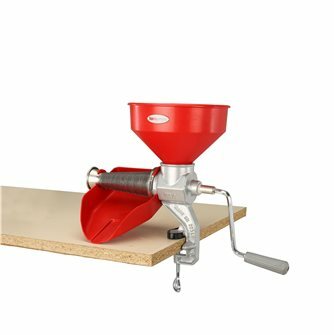 Manual n° 5 Reber tomato machine in varnished cast iron, screw in acetal resin, hopper and collection tray in stainless steel. 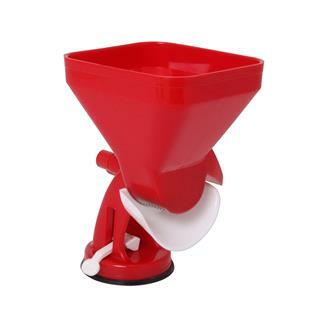 n° 5 Reber tomato machine / strainer in varnished cast iron, with a screw in acetal resin and a hopper and collection tray in solid plastic. 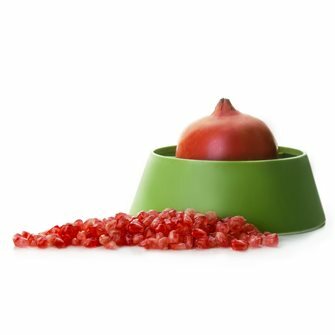 Manual tin-plated cast iron tomato and fruit strainer, hopper and collection tray in plastic. 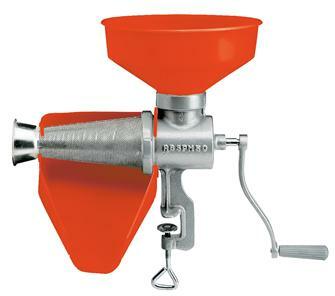 Perforated small fruit strainer with 1.25 mm holes for PTOCLAMM and PTOCLAII machines. 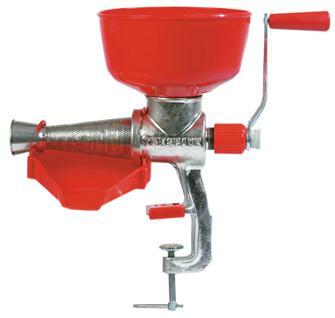 Manual Eco aluminium tomato machine / strainer with plastic accessories. 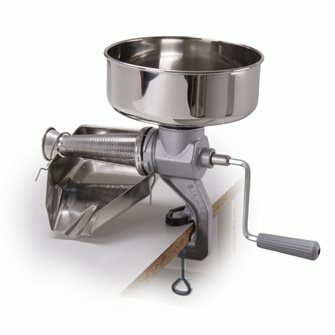 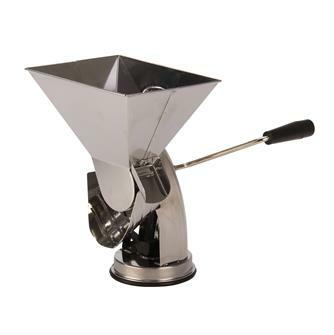 Stainless steel manual tomato strainer. 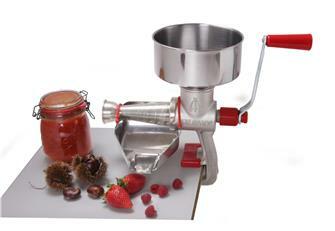 Spring mechanism, only for tomato coulis. 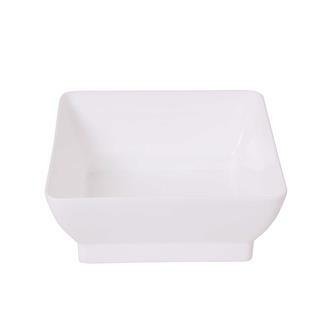 Basin for palette tomato press ptopltom. 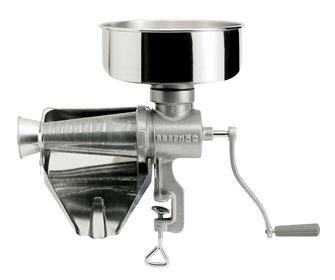 Stainless steel tomato press with a suction cup.